California legislature has expressly declared that elders should be granted special protection and consideration because they may not be able to protective themselves via medication, physical impairment, or deemed incompetent. Elder abuse is charged under Penal Code 368 pc making it a crime to commit or place in a situation of physical harm or financial abuse against an elder. Notice the law does not require physical abuse to warrant this charge. It merely states that if you place an elder in a situation where harm is likely to be suffered, then you could be charged with this offense. Conversely, financial abuse is common among family members or close friends of the elder who perhaps commit fraud or embezzlement of the property interests held by the elder. Commonly, this charge can result from carrying out identity theft of the elder. PC 368 is a wobbler allowing the prosecutor to file either felony or misdemeanor charges. Your prior criminal history coupled with the aggravating circumstances of the case are ordinarily considered prior to electing to file misdemeanor or felony charges. A misdemeanor conviction for PC 368 carries up to one year in the county jail and a fine not exceeding $6,000. 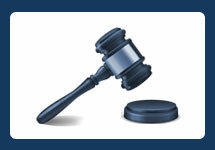 The court usually imposes additional terms such as probation, therapy, and community service. In addition, you may be ordered to repay any economic loss the elder has suffered as a result separate from the underlying court fine. A felony conviction carries a sentencing range of 2, 3, or 4 years in state prison and a fine not exceeding $6,000. Depending on the circumstances, your attorney can argue for probation and more additional terms to avoid jail. Fortunately, however, you may be able to reduce your felony to a misdemeanor at the expiration of your probation period. If certain aggravating factors are present, you could face additional prison time in addition to your underlying sentence. If the elder suffers great bodily injury or death and is under the ages of 70 years old, you face an additional 3 or 5 years in state prison. If the elder suffers great bodily injury or death and is over the age of 70, you face an additional 5 or 7 years in state prison. There are several defenses to addressing Penal Code 368 pc charges. First, if the elder is not at least 65 years old and not a dependent adult then you did not commit elder abuse. In addition, the conduct is punishable if you acted willfully and on purpose. Consequently, if the abuse occurred on accident, was the product or misfortune, or you acted with ordinary negligence, then you are not guilty of this offense. Furthermore, the health and/or safety of the elder was not endangered by your conduct. And the elder could be exaggerating the circumstances or suffer from a mental illness that affects their ability to understand or recall the incident. If you have been charged or are under investigation for elder abuse under PC 368, then you probably have a lot of questions. 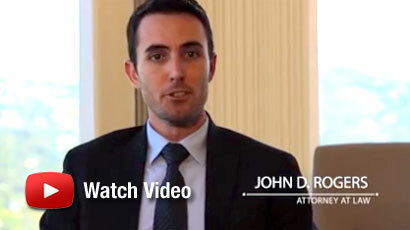 Contact the Law Offices of John D. Rogers to speak with an experienced Orange County criminal defense attorney. We provide free confidential consultations and we’re available to address all your questions and concerns. Penal Code 368 defined – (“(a) The Legislature finds and declares that crimes against elders and dependent adults are deserving of special consideration and protection, not unlike the special protections provided for minor children, because elders and dependent adults may be confused, on various medications, mentally or physically impaired, or incompetent, and therefore less able to protect themselves, to understand or report criminal conduct, or to testify in court proceedings on their own behalf.